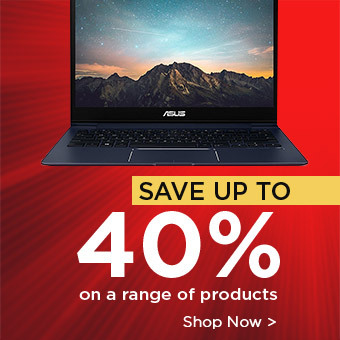 Need a new laptop? Lucky you, because August seems to be filled with great deals. That laptop you’ve been eyeing up that’s a little out of your budget? Well, maybe there’s a considerable sum knocked off that price tag. From laptops for work, school or gaming, we’ll definitely have a deal for you. 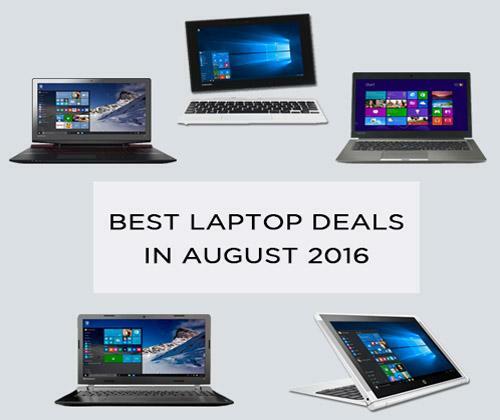 Here’s some of our best deals available this August at Laptop Outlet! Gaming enthusiasts, we have a fantastic August deal for you, grab this Lenovo Y700 now and save £70! The powerful AMD processor, quick response time, 1TB storage and 8GB RAM ensures you’ll be able to save everything you need, keep up with fast-paced gaming and multitask easily; even the most power-consuming tasks are no match for this powerful laptop. The JBL speakers, Dolby Home Theatre, 15.6” widescreen, FHD display and sharp graphics make this cheap gaming laptop a top of the range multimedia performer. So you can enjoy your favourite games or watch a film with radiant visuals and rich sounds. Installed with Windows 10 Home 64-bit you can start up your games and apps without fuss or searching as they’re all directly located on your homepage. 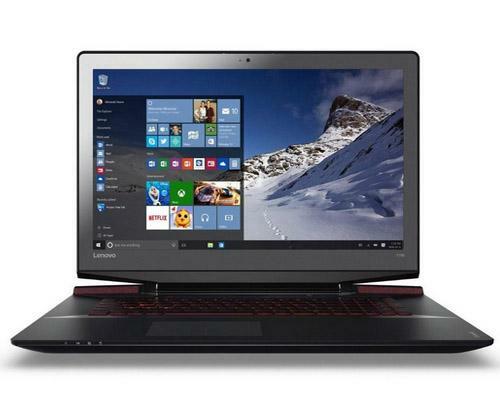 Grab this excellent Lenovo gaming laptop now for only £679.99, your wallet is bound to be happy with the £70 saving! This cheap, convertible laptop is now even cheaper! With £40 off and eligible for a further 5% student discount via Student Beans, this is a deal you can’t miss. If you need something easy to slip in your bag for school, this Toshiba Satellite is ideal with its ultra-thin and lightweight (978 gram) design, alongside the detachable keyboard to let you switch between laptop and tablet mode easily. The 2GB RAM, speedy response time and Turbo processor ensure that you can work away at a fast pace with multiple apps, browsers and documents open all at once. The 13 hour battery life allows you to get through an entire day, cutting out the inconvenience of having to find a plug and carrying your charger round. 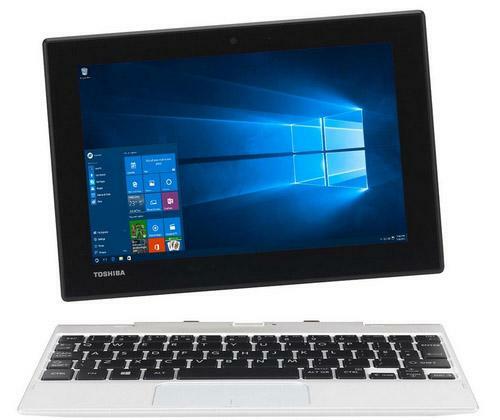 This compact little hybrid has all the same functionality features of a desktop PC, so use it around the house and on the go, and click the keyboard in and out with ease; this Toshiba Satellite combines productivity with smooth running portability! Windows 8.1 further intensifies your productivity levels by minimising time wasting to find your needed apps and tools; because they’re all conveniently located on your homepage. Taking a quick revision break selfie? The 2MP front camera and 5MP rear camera mean you can capture moments in HD and post flawless selfies on Instagram. In the mood for a late night film? No need to turn the T.V on and worry about waking your parents up with this cheap convertible laptop. Equipped with an 8.9” display, integrated Intel HD graphics, 1920×1200 screen resolution and Dolby Digital Plus sound enhancement, you will be provided with a stunning home movie experience. This amazing laptop comes with an amazing saving if you purchase it now, it’s only £109.99! Starting at only 2.1kg and at 22.6mm thin, this Lenovo laptop is great for travel! With a super powerful Intel Celeron processor, 4GB RAM and the familiar Windows 10 Home, you can complete all daily tasks easily and quickly; in addition, the InstantGo feature ensures fast boot ups and resumes and an automatic battery saver. Built-in security features protect this Lenovo laptop from malicious spy/software; so there’s no need to spend extra money on anti-virus software. The 500GB storage space means you’ll have no trouble saving all your work, films, pictures and music. Whilst providing you with all the necessary features to work and protect your device, this cheap Lenovo laptop also provides you with a great home entertainment experience. With a 15.6” widescreen display, 1366×768 screen resolution and integrated Intel HD graphics, prepare to be stunned with sharp and bold visuals, in all lighting. 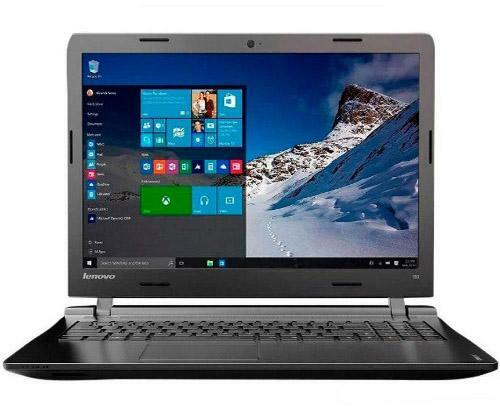 This great quality laptop is usually £249.99, but you can now save £50. Truly a great device for only £199.99! This Toshiba Tecra Z40-A-19G laptop is ready for business when you are. Weighing only 1.4kg, up to 9 hours battery life and with an incredibly robust exterior, this cheap Toshiba laptop is a great business companion. The Intel Core processor, 8GB RAM and 500GB storage space provides a vast amount of space for saving work and quicker response time; ideal for demanding work and multitasking. Out and about with your laptop? Working through your lunch break? This incredibly durable laptop is shockproof up to a height of 76 cm and its keyboard is liquid resistant to splashes of up to 30ml, making it an impressively accident-proof device. Keep track of your work with the range of management and security features included in the device. If you need to keep passwords and important documents on your device, safety is a must have feature. The Toshiba Tecra comes with fingerprint scanner security, which is simple and efficient; so you don’t have to worry about forgetting your password or someone going through your files. With improved audio quality, a 14” widescreen display, 1366×768 screen resolution and integrated Intel HD graphics, you’ll be provided with great sound and visuals, whether you’re giving a presentation at work or in need of some relaxation time and want to watch a film. 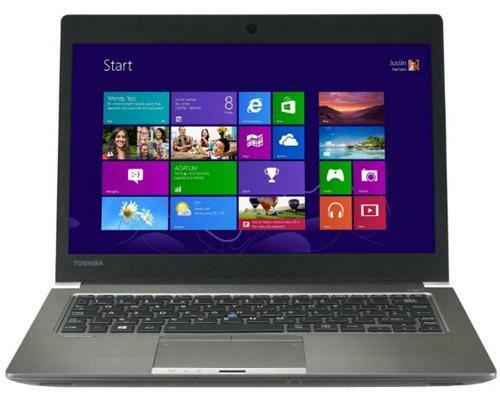 Buy this fantastic Toshiba laptop now for £349.99 and you’ll save an amazing £50! With an immense saving of £72, get the best of both –a tablet and a laptop. Say goodbye to the hassle of charger wires with up to 12 hours battery life, so you can lounge on the couch all day watching films or work around the house for the whole day with ease. 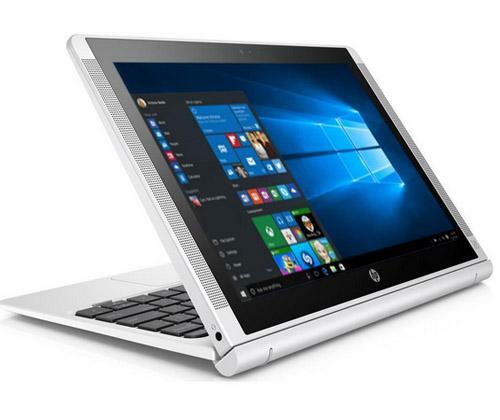 Weighing just over a kilogram, you can take this cheap HP hybrid on long journeys without worrying about weight, on you way to the office. The 360 degree hinge allows you to choose a mode suitable for you, whether its typing a report in laptop mode or playing Fruit Ninja in tablet mode. Your productivity will be further enhanced by the easy-to-use and familiar Windo 8.1 tiles homepage. Don’t be misled by the great saving and small price, this cheap hybrid is more powerful than you’d expect. With 2GB RAM and a Quad Core processor, you can complete the most demanding of tasks and this Lenovo won’t buckle or slow down under the pressure. The 32GB storage space lets you save any large files or extensive holiday albums too, and so there’s minimal fuss with USB transfers and other storage devices. Take a break from work and watch a film in bed with tent mode and let the 10.1” widescreen display, detailed 1280×800 screen resolution, integrated Intel HD graphics and quality audio ensure you can indulge in movie marathons with stunning graphics and rich sound. Grab this cheap HP Pavillion now for only £127.99 and make your wallet happy, you’ll be saving a massive £72! There you have it, a few of the amazing deals we have this August! Curious to see more amazing deals? Check out our Summer Sale for more great savings and unbelievably low prices! For more updates on deals, top tech picks, reviews and other technology related news, make sure to keep an eye out on our blog.